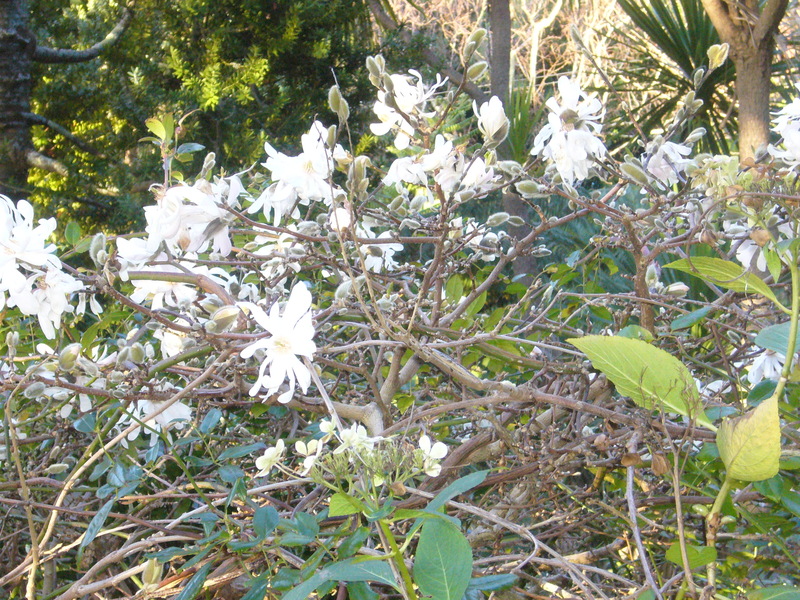 It’s winter here in Days Bay, and last week was the coldest day ever recorded in the Wellington region, – it actually snowed, which is a rare event here. And now a week later, there is sun on the bay and crisp, clear skies. I feel blessed to live in such a beautiful place. And even with the biting chill air, nature is surging ahead…. 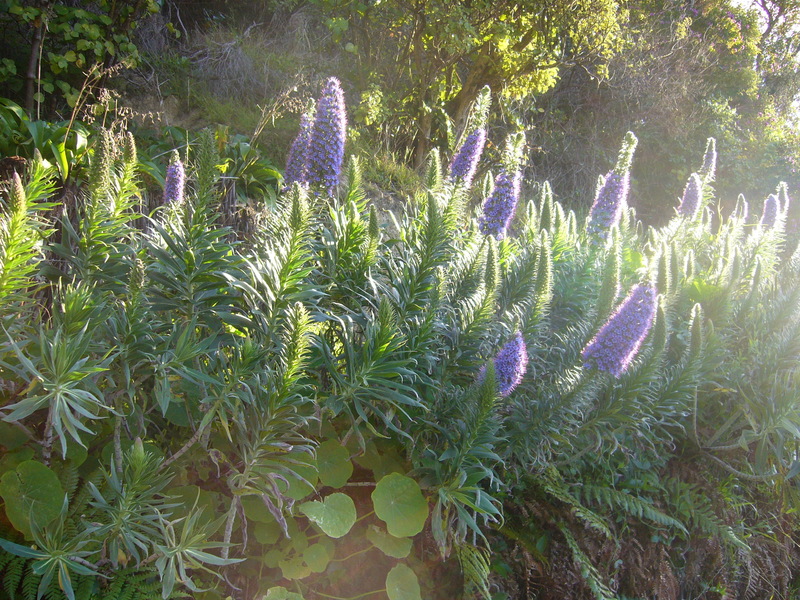 Echiums in the afternoon sun, leaning towards the light…..
Starry magnolias with their fuzzy bud cases…. 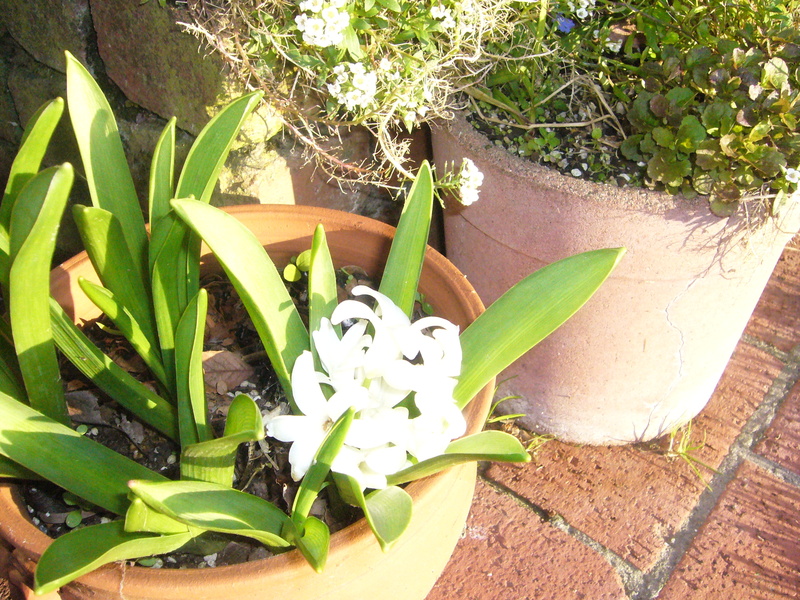 And the first of the bulbs, a hyacinth. Barely erupted from the soil, and already so pungent with its sweet promise of spring. Love the photos! Keep up the posts so I see how gorgeous Eastbourne is! Marty is keen to try out the gingersnaps! The gingersnaps take a bit of time, but they’re definitely worth it. I put each on in a cello bag, then tape it shut, then they keep crisp for ages. 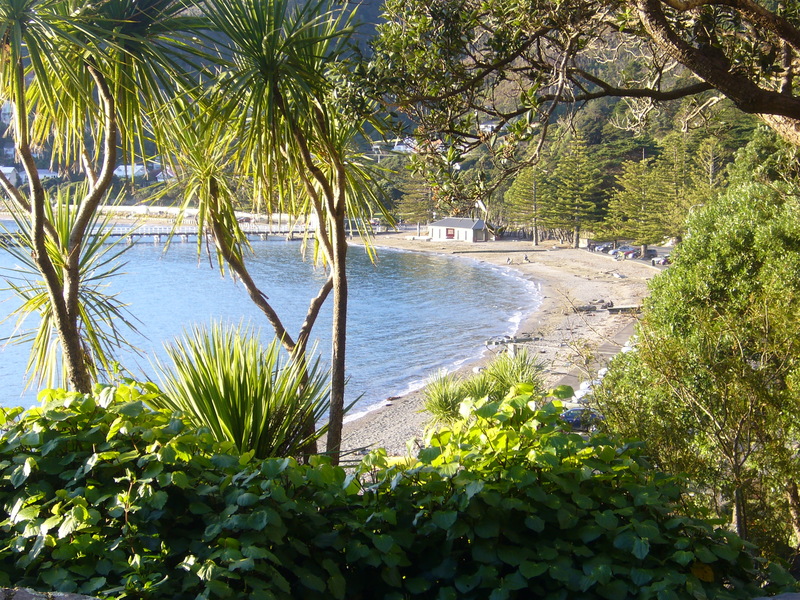 Lovely photos Karen – shows we really do live in our own little bit of paradise here in the Eastern Bays. Keep up your amazing writings…. NB.